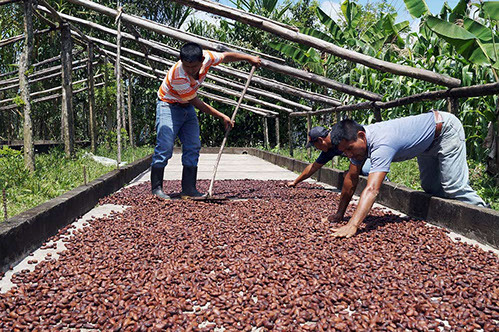 We partner with local cooperatives to directly source our premium organic cacao. The cooperatives connect producers of fine cacao in Guatemala with specialty chocolate makers that focus on positive social and environmental impacts in indigenous communities. These cooperatives source the best fermented and dried cacao from indigenous Maya and other local producers in different cacao producing regions of Guatemala. All cacao is opened, fermented and sun dried, then carefully selected, and packed in a clean hygienic central facility before being shipped to our production factory. Cahabón in the Alta Verapaz department located in north central Guatemala. This cacao comes from a small Mayan Q’eqchi cacao­producing cooperative located in the municipality of Cahabon, 700 meters above sea level. The plantations are approximately 35 years old and most are UF (United Fruit) genetics, a variety introduced to the region in the 1980s. Cahabon’s cacao passes through an eight day fermentation process, followed by approximately 15 days of drying. Cacao pods ready for harvest. This cacao comes from a mixture of three cooperatives of small Mayan Q’eqchi cacao producers in the city of Coban, located 250 meters above sea level. 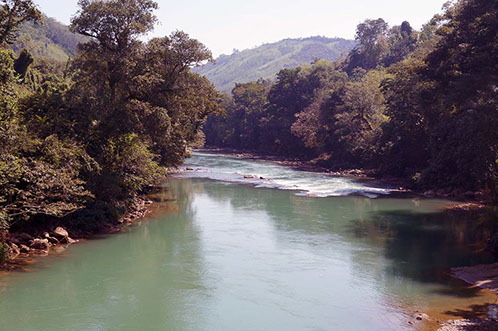 The plantations are five years old and are a mixture of 15 different hybrids, which over time have been further mixed due to the natural cross­pollination of cacao trees. These cooperatives’ cacao goes through a seven day fermentation process, followed by seven days of drying. Cacao beans being set out to dry. 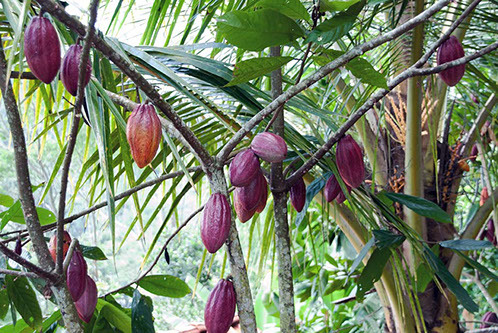 This cacao comes from a medium­size producer located 300 meters above sea level. They have a genetic mixture of different clones and varieties coming from plantations that are 40 years old and seven years old. Their cacao goes through a seven day fermentation process, followed by approximately seven days of drying. 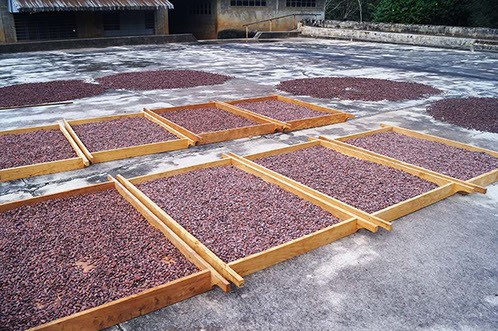 Cacao beans set out to dry in Coatepeque. This cacao is a mix of 6 to 8 varieties and comes from approximately 1200 small producers in Alta Verapaz department. The fruit is shipped to Coban where it is opened and fermented in a central facility for 7 days then sun dried for 7 to 10 days. 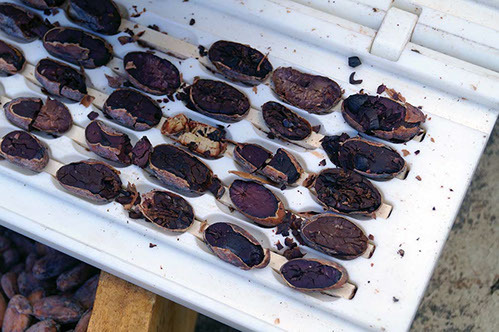 Cacao beans being checked for proper fermentation.